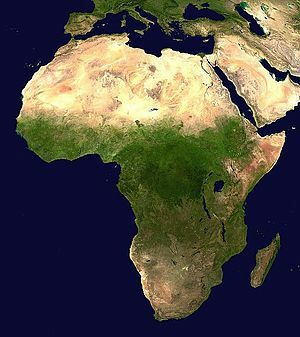 Does Africa need Business History? In her first contribution to our blog, Stephanie Decker (Aston), the new member of the nep-his blog editorial team, departs from the usual norm of commenting on specific working papers to discuss a forthcoming panel on African business history in the next Association of Business Historians meeting. This departure responds to NEP’s commitment to building and supporting academic communities. On the fringes of the The XVIth World Economic History Congress in Stellenbosch (South Africa), my South African colleague Grietjie Verhoef, the vice president of the International Economic History Association, and I had several interesting discussions regarding the state of business and economic history of our host country and continent. And while the economic history of Africa has gone from strength to strength, which is to no small extent due the activities of groups such as the African Economic History Network, the same cannot be said for the business history of Africa. Perhaps ten years ago this would have not been an issue, as business history was still better integrated in the wider field of economic history. But since then, the conference circuit, the publications, and the institutional location of business and economic historians have diverged, and with it common methodologies and research problems seem to have disappeared. 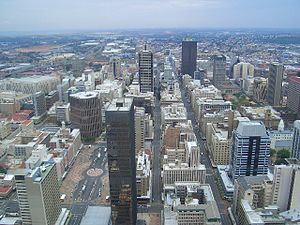 As the economic development of the African continent has gone from protracted crisis to what some refer to as an “African Renaissance”, the role of business in Africa, and its institutional legacies, is certainly a subject worthy of further inquiry, and of wider relevance. It is certainly an ideal research setting to observe the role that business can play in supporting or obstructing the economic and social development of poor societies. And around the world there are scholars working on these issues from a variety of angles. My colleague Grietjie and I decided to write a call in order to find out who is interested in these problems, and whether, if we brought them together, we could find common research agendas that may improve our knowledge of these issues. We were delighted to get responses from scholars around the globe, and on a wide variety of topics. Kofi Asante, as well as Sherryllynne Haggerty, both take a classic African Studies approach byinvestigating the role of African agency in the encounter with the colonial administration and the slave merchants, respectively. But the encounter with foreign powers went beyond colonialism and slavery, as shown by Kingsly Ollong, and Suzanne McCoskey. Kingsly Ollong is interested in how French multinationals manage their investments in Africa through the framework of corporate social responsibility (CSR), even though this may range from lip service to actual commitment to creating social value. Suzanne McCoskey addresses the difficult encounter of African-American freed slaves with Liberian society – similarly to present-day debates about CSR, good intentions did not always translate into social improvements. Finally, Tetsuhiko Takai reflects on the state of the archives of colonial chambers of commerce in some countries of Francophone Africa. Here he specifically highlights the importance for scholars of African business history to cross borders to collect material both on the African continent and beyond. This is a good reminder of how challenging it is in practice to write African business history, and why so little of it comes from the African continent itself. With perhaps the exception of South Africa, it is difficult for students of African business to write an archivally based history of business without traveling internationally. We are now looking forward to our meeting with these scholars at the Association of Business Historians Annual Conference (http://www.abh-net.org/conferences.html) at the University of Central Lancashire, 28th & 29th of June 2013, and hope that this will only be the first step in our initiative to create a global network of scholars interested in the history of business in Africa. This entry was posted in Africa, Business history, Economic History, Globalization, Institutions and tagged Africa, African business history, African Renaissance, Association of Business Historians, business history, economic history, South Africa on 2013-05-15 by stephdeck1.